Every year the Will and Ann Eisner Foundation commemorate Will Eisner's birthday (March 6) by sponsoring the Read a Graphic Novel Week event to support literacy and free speech from March 1-7. This is the sixth annual Read a Graphic Novel Week sponsored by them. Step One: Choose a graphic novel-any graphic novel, something new or an old favorite, an OGN or a collection of reprinted material. The sky's the limit. Step Two: Let us know what you plan on reading in the thread in the events section. Step Three: Read your selection during the first week of March. Step Four: Post your thoughts and reaction to your selection after you have read it in the thread dedicated to the discussion of our choices. If you want to go above and beyond, you can find officially sponsored events in your local communities, or lend your support or donation of time, money or materials to literacy programs in your community (your local public library probably has one or knows of one that could use your support) or free speech advocacy groups or organizations like the CBLDF that take on cases involving free speech and comics. 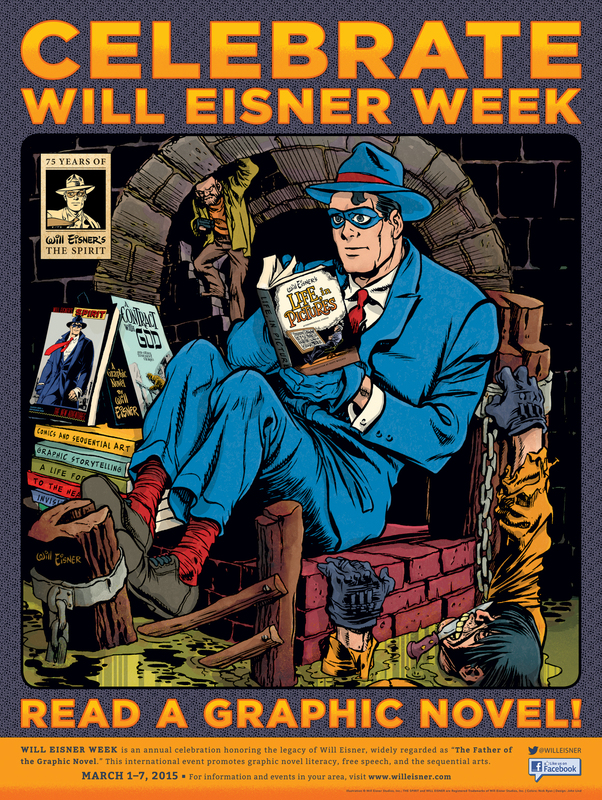 For more information, check out the Will Eisner Week website.